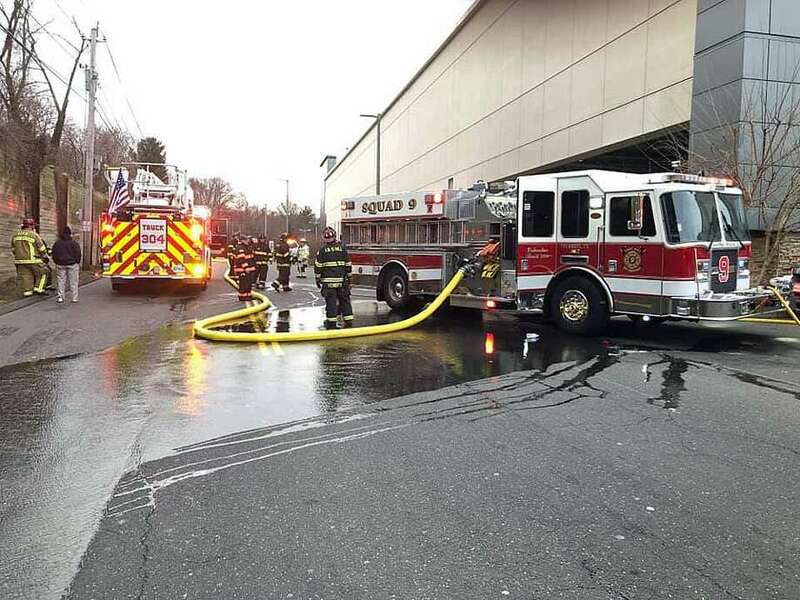 Town firefighters responded to the mall for a reported structure fire at Target in Trumbull, Conn., on Jan. 17, 2018, according to a statement from the Long Hill fire company. The first unit on scene reported heavy smoke showing from the loading dock at Target on arrival, officials said. TRUMBULL — A fire at the Target in the town mall left the store closed temporarily Thursday afternoon. Reports indicated a fire in the trash area of Target at the Westfield Trumbull Mall. The fire broke out sometime after 3 p.m. As of 3:45 p.m., the store was closed because of the blaze. A mall security guard directed traffic through the area. Town firefighters responded to the mall for a reported structure fire, according to a statement from the Long Hill fire company. The first unit on scene reported heavy smoke showing from the loading dock at Target on arrival, officials said. “Crews stretched an attack line into the loading dock area and extinguished a fire inside a dumpster,” officials said. As fire units were putting out the flames, additional fire companies checked for extention and ventalated smoke out from inside the Target store. There was no indication of any injuries caused by the fire. Fire units were back in service about an hour and a half later. It was unclear if the store reopened after the fire was put out and the store ventalated or if it remained closed for the evening.